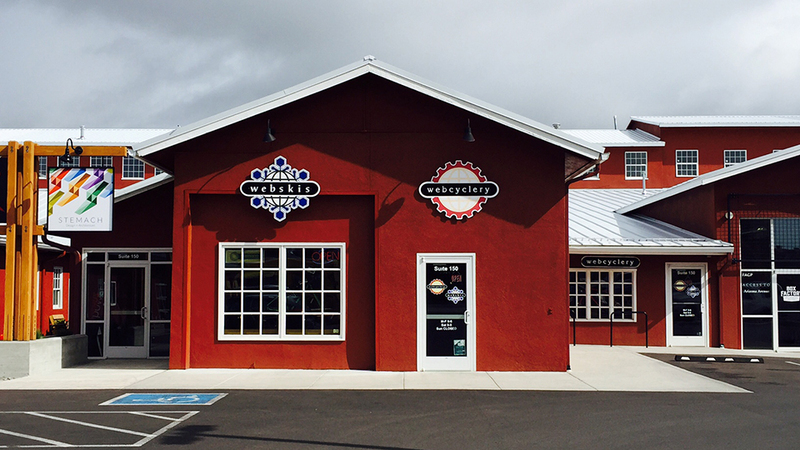 Founded in 1997, WebCyclery downtown in the Old Stone Church offers both rental and demo bikes as well as an extensive line of bikes, accessories, clothing, helmets, shoes, car racks, and more. Offering a great selection of demo and rental bikes in their most popular models to try before you buy, their bikes get cleaned and tuned every time they get used, making sure that they are running smoothly, replacing brake pads, cables, chains, etc. as necessary. All of their bike demos include suspension set-up to ensure the best riding experience, and rates include the use of a helmet, tube, mini tool, pump, and flat pedals if necessary. They’re happy to install your own pedals and have a limited supply of SPD and Eggbeater pedals as well. They also have demo road wheels, mountain bike wheels, saddles, stems and travel cases. They will apply up to three days of rental fees within 90 days of the first rental towards the purchase any bike over $1000 and offer a 100% satisfaction guarantee if for any reason you are not satisfied with your purchase within 30 days.